A naked man wielding a hatchet was arrested on Sunday after he swung a hatchet at three people who mistook him for an Uber driver, according to Arlington County police. A US Park Police officer responded to a report of a "suspect vehicle driving erratically and nearly striking pedestrians" in Arlington, Virginia, at around 2:20am, according to the police report. Before police arrived, the vehicle entered a parking lot where three individuals approached it, mistakenly thinking it was their Uber ride. 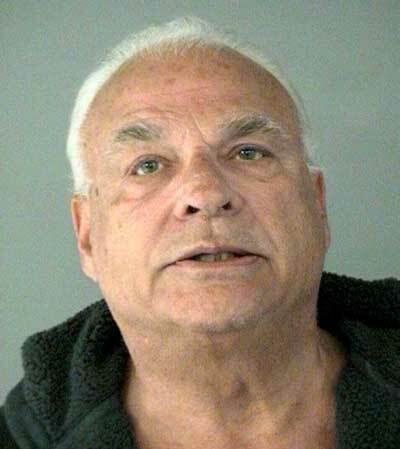 The mistake led to a verbal argument with the driver, Michael Monroe, 64, of Gainesville, Virginia, who was naked. Monroe then retrieved a hatchet from the back seat of the vehicle and started swinging it. No one was injured and the three individuals were able to wrestle the hatchet away from him. He tried to flee but was pulled over by the US Park Police officer. Arlington County police attempted a sobriety test but Monroe refused. He was arrested and charged with DUI, refusal and disorderly conduct.